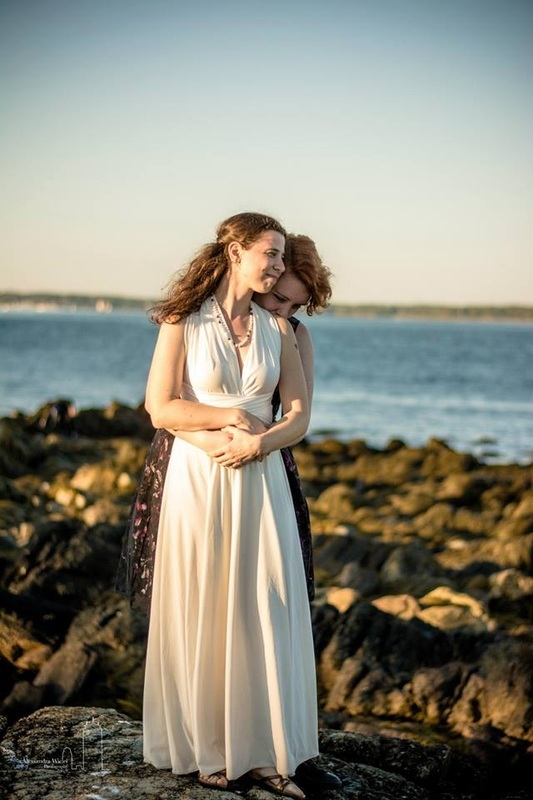 A wedding, hand-﻿fasting﻿, or vow-renewal ceremony tailored to your unique love story. I know what an important decision choosing the right officiant can be. Let's talk! It's th﻿e cere﻿mony you’d write for yo﻿urself﻿…if only you knew how! When you and your beloved walk your own path, it can be frustrating finding an officiant and a ceremony that really fits. Some are too flakey, some are too religious, some are just too…expected. You need some know-how and a supportive hand to guide you through the process! That’s where I come in! As La Padre I've been helping people have the wedding of their dreams for more than five years. I've got a wide knowledge base and a variety of religious backgrounds that I’m intimate with, from the Catholicism I was raised with, to the Judaism I’m associated with, to the Earth-based religions I love. This makes me uniquely qualified to help you design a ceremony that reflects your deepest desires and officiate it in a way that leaves your guests feeling warm and included. Perhaps you long to write your own vows? Perhaps you want to be deeply involved in each and every aspect of your ceremony? Or maybe you prefer to be like the couple who (in their own words) wanted "to speak as LITTLE as possible?" Great! No matter what you're looking for, we can co-create a ceremony that works for you. Together we’ll walk, step by step, through the process. I’ll give you ideas on how to personalize your ceremony and make sure it flows seamlessly. And on the day of your wedding, that support will continue. I’ll be there from the start, through the “I Do’s” and all the way through to that kiss that means we made it! We'll work out basic details like who's in the wedding party and where the ceremony will be held - whether it'll be outdoors at a park, beach or backyard, in your living room or at the venue. We'll address your concerns about incorporating traditions from different faiths and backgrounds and how to make them flow seamlessly. From there I'll write up a first draft. You and your beloved will each read, offering suggestions and corrections for me to incorporate into the final draft. We'll schedule a rehearsal (highly recommended) a day or two before, so everyone involved will be comfortable for the big day. You'll arrive at your wedding day, confident that your ceremony is just what you wanted, knowing you're in good hands. And that's it - your ceremony, your way! Schedule today for a free 20-minute consultation to find out if I'm the right officiant for you.